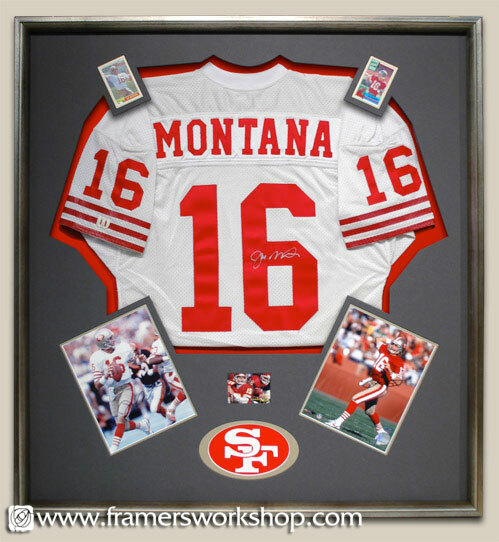 This signed Joe Montana football jersey was framed with signed Montana photos and original trading cards. The San Francisco Forty Niners logo was carved using our Wizard Computerized Mat Cutter. The Jersey with raised photos and cards are complimented with red, gold, and grey matting, topped with a silver frame and ultra violet protective acrylic.